Rentec Direct is pleased to announce that we have simplified the tenant credit report access application process. Property managers and landlords can now submit an online application to in order to gain access to credit reports for tenant screening. 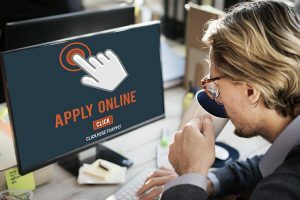 The simplified application allows you to click through the options directly from your computer without needing to print, complete, scan and send back- that’s four extra steps you get to avoid! In the past, obtaining access to credit reports required a hard copy of the application that was physically signed in person. We recently modified the requirement to accept electronic signatures, which means the application process is now completed automated for you! Electronic signatures, like the DocuSign platform you already use for online lease signing, are an electronic indication of acceptance and agreement to the terms of a contract or document. Essentially, electronic signatures are a way of agreeing to legally enforceable terms without needing to physically sign a piece of paper. Now that esignature functions are available for the credit access application, Rentec Direct made the entire application available online. You still need to provide supporting documentation, but you can easily upload them and attach them with your electronic application. If you are using a phone or tablet to complete your application, you can take a picture and upload it directly – it’s that easy! 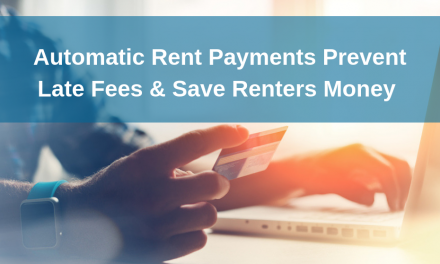 Rentec Direct offers 2 options for tenant credit checks. In order to gain access to the credit check solutions you have to complete the electronic credit access application – this is required by all tenant screening agencies as a requirement by the credit bureaus. 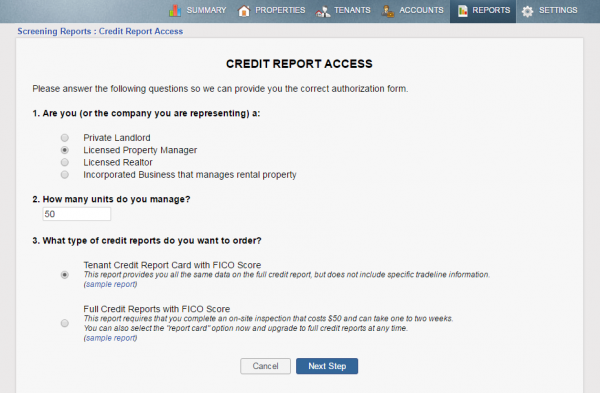 Learn more >> Why do I have to apply for access to order a tenant credit report? In order to start ordering a full credit report on tenants, you will need to have an onsite inspection. When you apply for access for full credit reports with Rentec Direct, we set up the inspection for you and make the process as easy as possible for you. 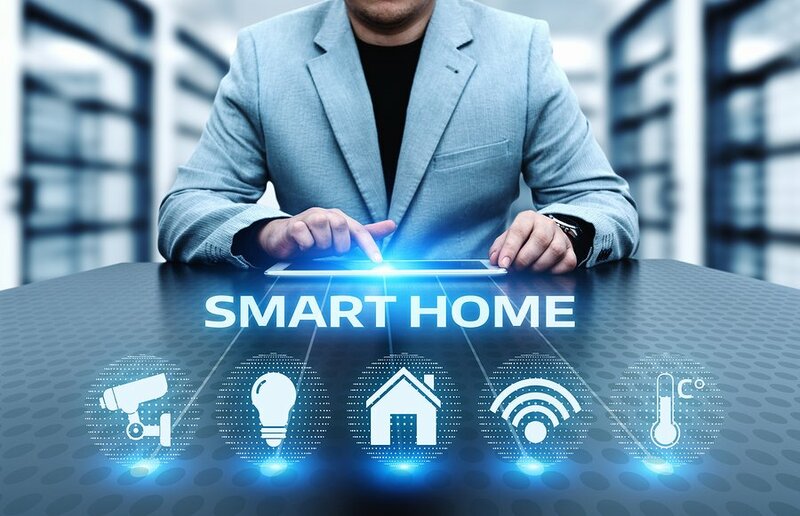 It’s a simple process where a contracted site inspector visits you at your office/home office at a time that is convenient for you and they’ll verify that you are working in a secure environment that does not allow public access to your computer. Inspections usually take place within 3-5 business days, but while you wait for the site inspection to be completed, as long as we’ve received your other required items you can order and view the Tenant Credit Report Card so you don’t have to wait to evaluate the applicant’s you need to screen right now. Any Credit Report Cards you order now will automatically be converted into the full Tenant Credit Report format at no charge once the site inspection is completed! Your Rentec account is already set up to order criminal and eviction reports on your tenants, check it out in the Reports Tab! You can also have instant access to credit reports once your account has been enabled for credit report access. You just need to complete the electronic application and we will have your account ready to go! Since the process is completely electronic now, you can start ordering reports quickly. Remember that accessing credit reports with Rentec Direct is only legal if you are a landlord or property manager using the reports for tenant screening only. All other purposes violate Rentec Direct’s terms of services.